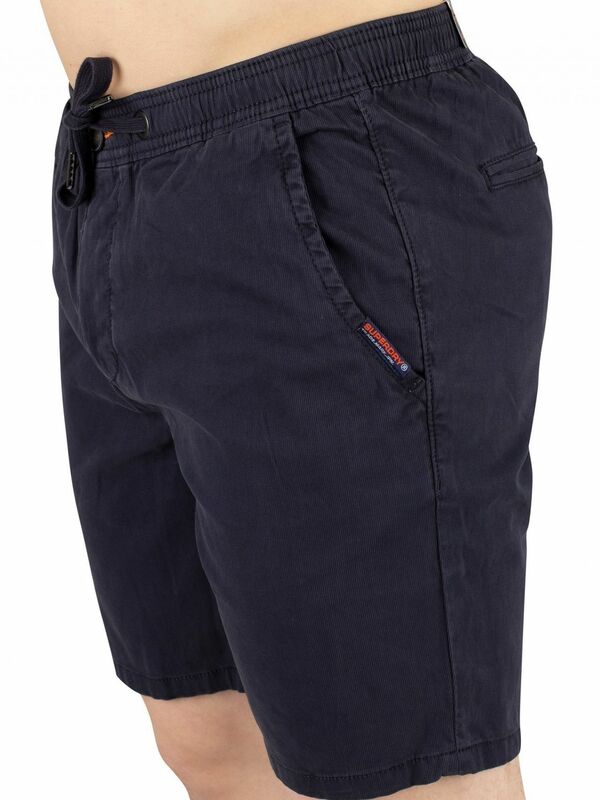 The Sunscorched Chino Shorts from Superdry comes with open side pockets, and buttoned and open back pockets, featuring a drawstring elasticated waist. 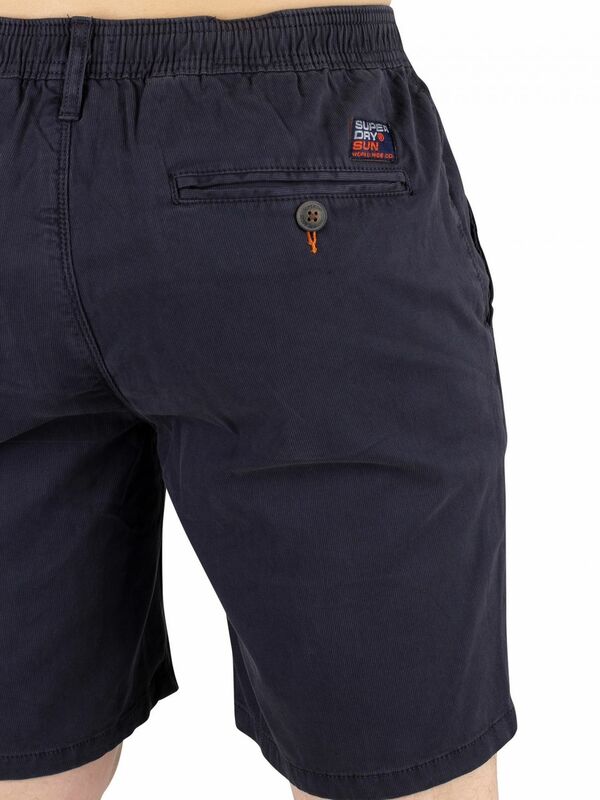 This pair of shots also sport a branded badge on left pocket and on back. 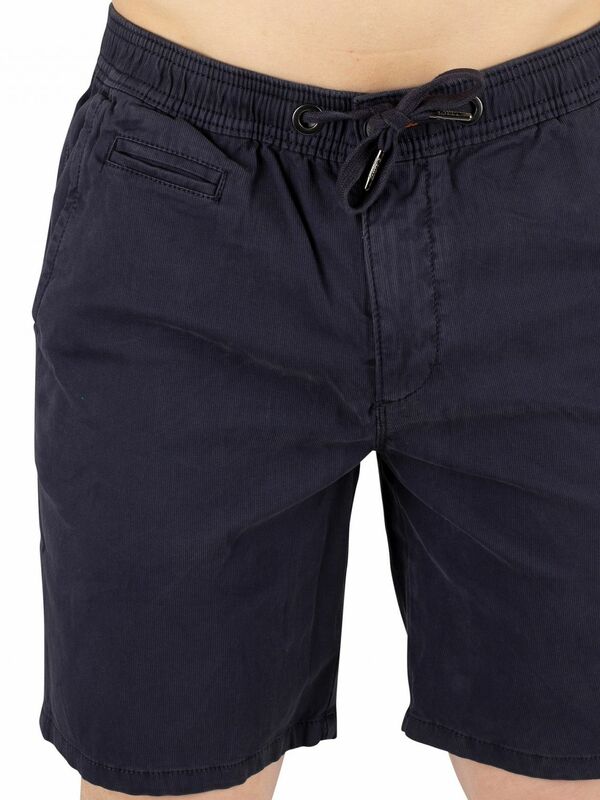 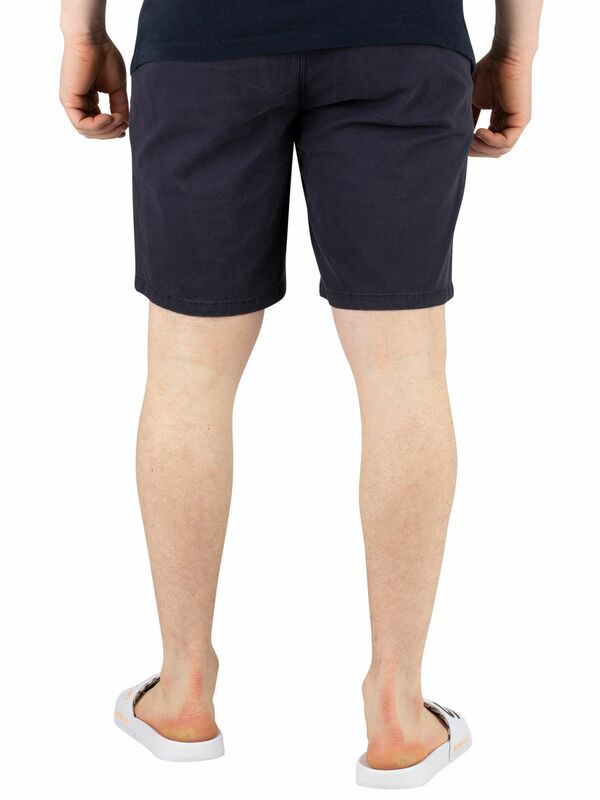 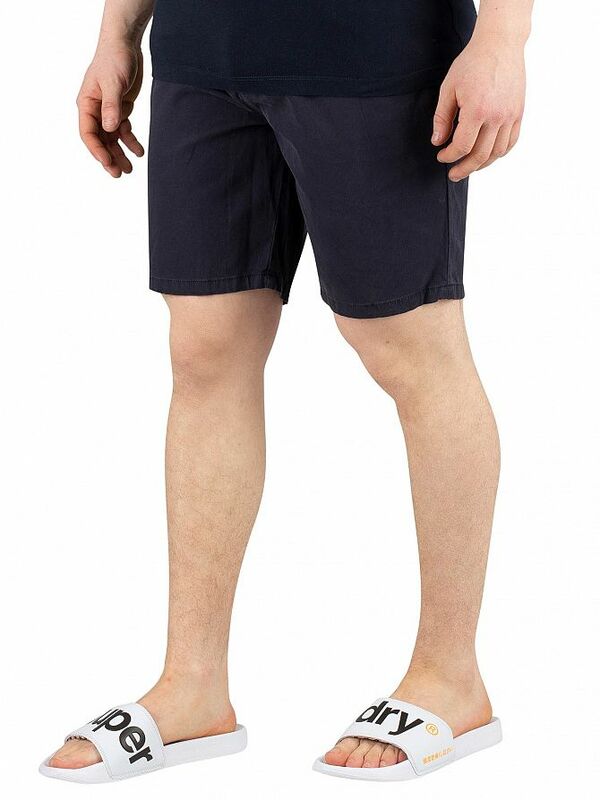 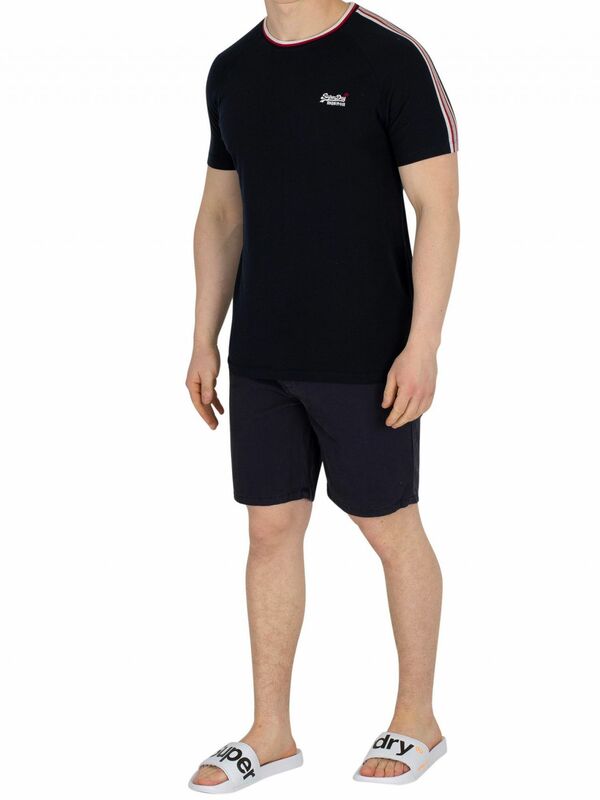 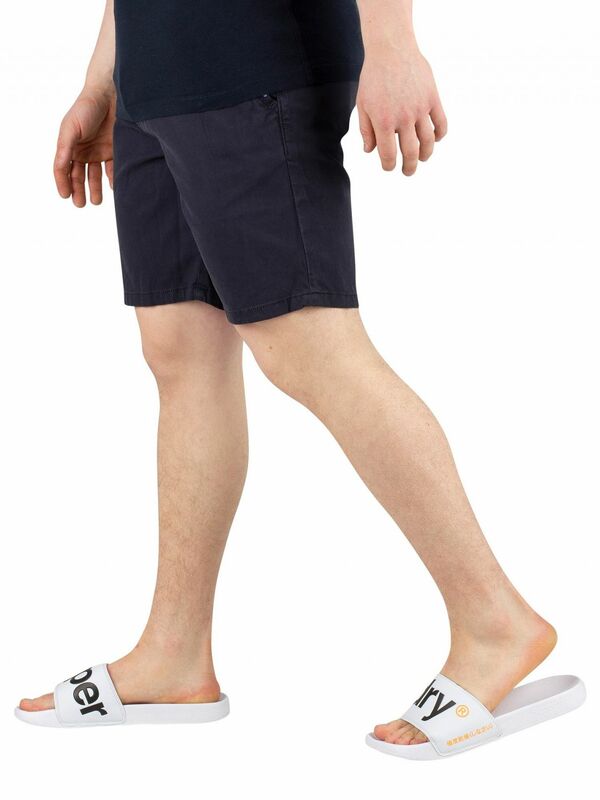 Coming in Midnight Navy colour, these shorts sport a zip fly and button closure with branded button.